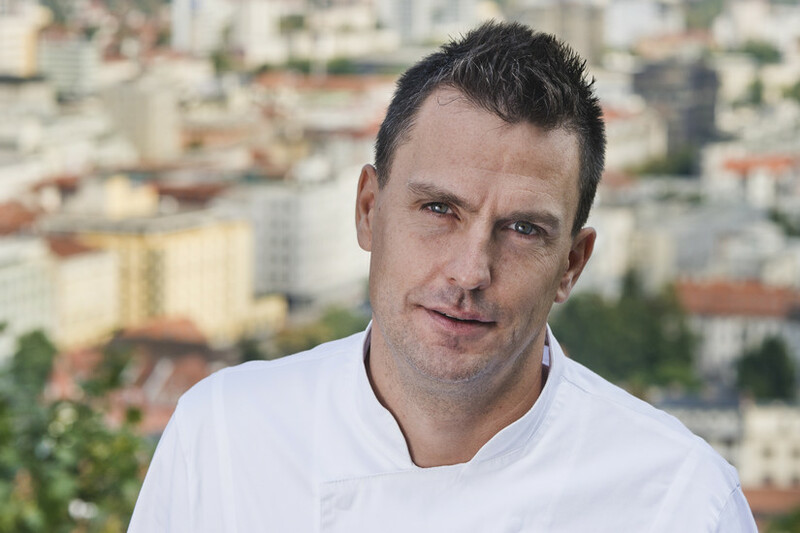 Igor Jagodic already has a long career in the kitchen. 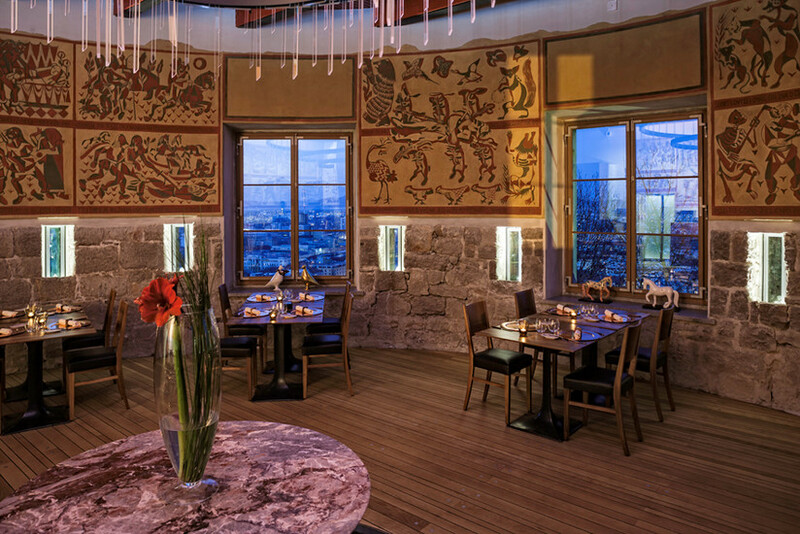 We caught up with him in Strelec, one of Ljubljana’s most celebrated restaurants, and the only one set inside a tower in the Castle, a unique setting for a memorable meal. I loved to cook as a child, so there was never anything else I wanted. I started in Kranj, then went to cooking school, worked for the protocol service, then came to Ljubljana and worked at what’s now Hotel Lev. Then I went to Bled, where I was the executive chef in the Grand Hotel Toplice, and after that at Vila Bled. 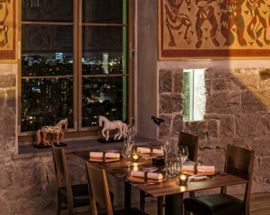 You were at Noma in 2010, the first year they were named ‘best restaurant in the world.’ What was that like? 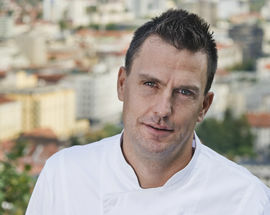 Yes, at that time many Slovenian chefs went outside and learned, and that was good for the scene here. I spent a month working at Noma, and I learned a lot. There were so many chefs, so many techniques, so much thinking about food. Really, everything there, the whole life, was food. For me that experience, and everything before and after, means I know how to achieve what I want. Would you say you offer Slovenian food? The menu has some traditional Slovenian food, some Ljubljana food, but this is not the base of our plates. We try a lot of new combinations with the basic ingredients, and the focus is on taste rather than tradition or technique. At this time of year [January] we use a lot of root vegetables, the kind of things people have in their cellar, like potato, celeriac and beetroot. Especially the last two, which I can’t imagine cooking without. How often does the menu change here? Every two or three months. We have some signature dishes, such as potato with yolk and truffles, and our frog legs, but even these never stay the same. If something was on the menu last year, then this year it’ll change a little, like our beetroot soup or strudel. They’re always on the menu, but always evolving. And has your style evolved over the years? When I started here I was using a lot of different techniques on the same plate. Now I think we don’t need to show everything we can do with one dish, or even one menu. A few ingredients, a few techniques, whatever brings out the best in the ingredients. How much time is needed for the tasting menus? 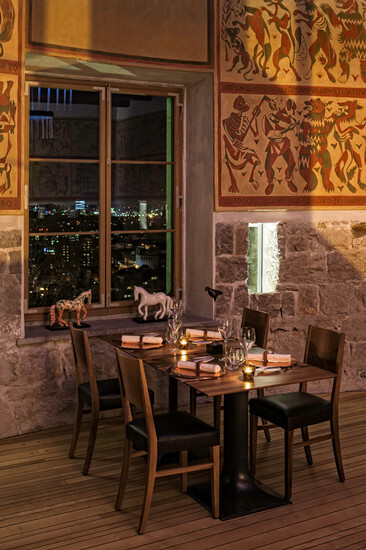 The most popular are the four- and five-dish tasting menus, and for those you need 1.5-2 hrs. For the seven- and nine-dish menus, I’d say 3 hrs is enough. 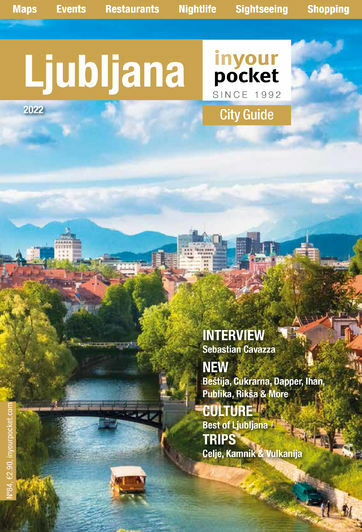 How is the food scene in Ljubljana? It’s going well. We have some good places now, and every year there is something new. For example, there’s Atelje, Luda, Bistro Monstera, JB, of course, and many others. 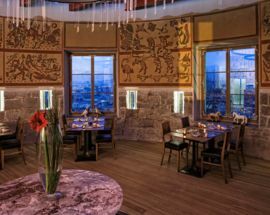 You already have a restaurant in a castle, do you have any other plans? I’m very happy here, I have great support and a great team, so I can do a lot of different things, but of course every chef dreams of owning their own place, and having things just as they like.